One of the most important aspects of your wedding is going to be your attire. 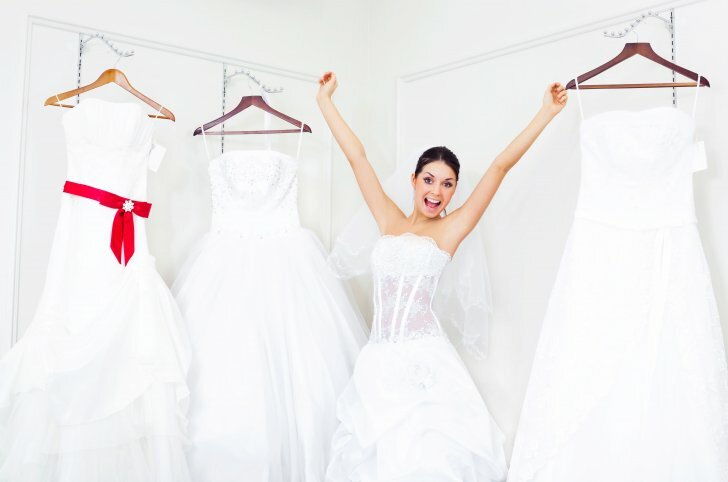 Choosing your wedding dress will be fun, but it can also be a little daunting. If you take some time to think about this before you actually go shopping for one, it will help you to stay focused and not become overwhelmed. If you are have decided on a wedding theme, then you want your dress to be part of this. For example, there will be specific dresses that work beautifully with a traditional wedding, whereas if you are going casual, then your selection of dresses will be different. It will be a big mistake not to set a budget for your wedding attire. It is easy to get caught up in the moment when trying on dresses. It can be quite a shock to find out how much the dress you are trying on that you fall in love with, is going to cost. Whereas, if you tell the bridal attendant your budget, then she/he will only show you dresses within that price range. There will be plenty of things that you need to do for getting ready for your wedding. Make sure that you do your dress shopping early. That way there is plenty of time for alterations or changes, and it is one less thing to have to worry about. Try to form a basic idea of what you want in your dress, but at the same time, keep an open mind. For example, if your first thought is to go with a ball gown style this is great, but try some mermaid styles on just so you get an idea of how they look as well.